I’m a dreamwhisperer. Not the kind of dream you have when you’re asleep but the ones you may have when you’re wide awake. A friend once told me dreamwhispering sounds a little hippy, and perhaps it does. But it fits well with my joy in listening to peoples talents, energies, and experiences, helping them to hear what their lives are saying but they perhaps cannot hear, then walking with them as they develop these into their story. I find myself working with people from all sorts of backgrounds and want what I do to be accessible to as many as possible. I work with teams wanting to encourage everyone to bring their enthusiastic best. Whilst there’s a basic shape to how this happens, it’s really up to the person or team to shape the experience. More and more, I find myself using slowness to make this happen. Life rushes us along and to find a little slowness makes it possible to see so many of the details otherwise missed. I find myself reading slowly, walking slowly, involved in slow conversations, and doodling (dawdling). Often, finding time for slowness, accomplishes a lot more than being rushed along by life. 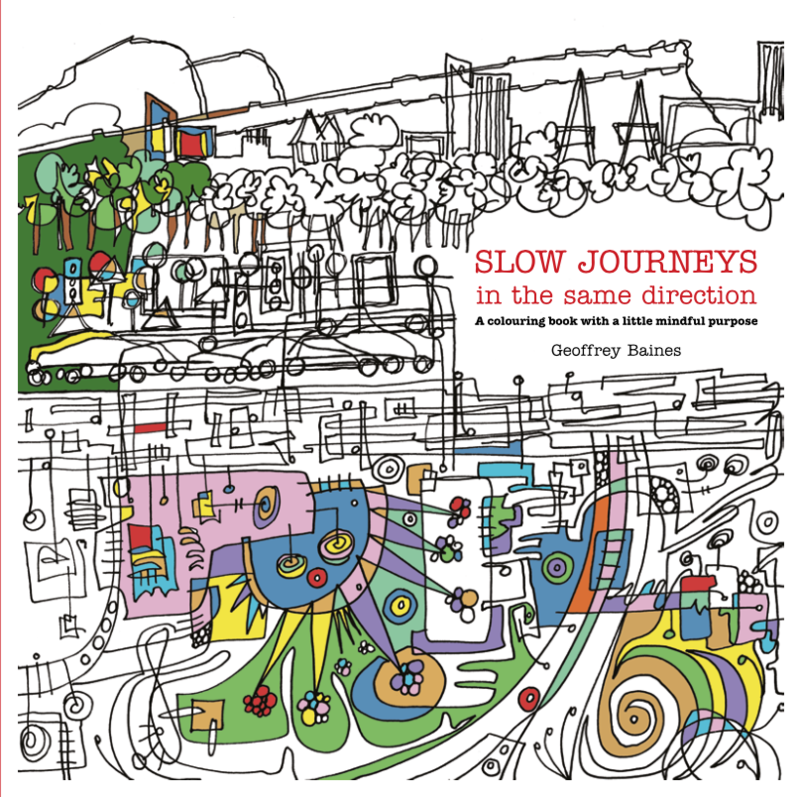 Slow Journeys in the Same Direction is also a colouring book with some mindful purpose, an expression of wanting to add more pictures to our lives. I also illustrate for the workplace and for personal gifts.